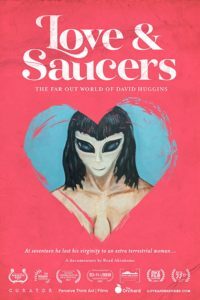 The story of David Huggins, an unassuming 72 year-old who claims to have had a lifetime of encounters with otherworldly beings – including an inter-species romance with an E.T. woman (with whom he lost his virginity to), and chronicled it all in surreal impressionist paintings. Are his experiences dream, hallucination, or could they be reality? “Well… When I was seventeen, I lost my virginity to a female extra-terrestrial,” says David, his legs crossed and his eyes fixed on the camera save for the occasional thoughtful look. He does not speak as if he is proud or as if he finds his claim sensational in any way. Rather, he speaks matter-of-factly, in the way that only a man truly sure of his convictions can. After this opening statement, audiences are going to be in one of two minds. Those that have a tendency towards the conspiratorial and the fantastical are going to be intrigued by David’s story. Those more grounded individuals are going to find themselves fascinated by the man himself. Fortunately, Love and Saucers has plenty to offer both camps. After his introduction, the director (Brad Abrahams) lets David tell his story in his own terms. There is very little interaction from the crew (or at least very little is shown) allowing for David to be as honest as he possibly can be, and ensuring that he does not misrepresent himself by trying to answer leading questions. On occasion, this lack of interaction did leave me asking some questions, however. For example, at one point we are shown David performing what could be described as a fortune-telling ritual, by throwing coins into the air and using their value to interpret a dream he had had. Though enough of the ritual was shown for me to understand roughly what he was doing, a question or two would have helped to explain exactly how the ritual worked. 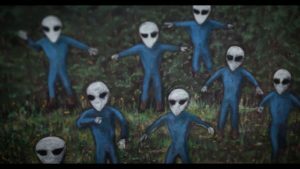 Throughout the film, David’s stories are accompanied by his own works of art – surprisingly good impressionist pieces that depict his various encounters with the extra-terrestrials. This juxtaposition between art and narration works wonderfully, giving us greater insight into the workings of David’s mind. Furthermore, it saves the director resorting to the almost always terrible recreations that plague lesser documentaries. Though there are a handful of interviews with family and friends, the majority of the documentary focusses solely on David and his own recollection of his many encounters. This focus acts as both a blessing and a curse. On the one hand, David is the one with all the sensational stories, and relays them with incredible attention to detail. This gives those interested in the extra-terrestrials a detailed look into their apparent existence, and it gives those interested in David the evidence needed to answer their questions: Is he lying? Is he crazy? etcetera, etcetera. However, many of his earlier stories are quite similar and slow the pace, causing the middle section of the documentary to drag a little. On a more general note, Love and Saucers is very well produced. 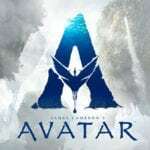 The cinematography is nice, and the editing around David’s art is excellent. The music that sits in the background is simple but eerie, and every important moment is captured clearly. The choice to keep the interviewers in the background makes the film feel more like a character study than a documentary that has a point to make. This is not necessarily a bad thing, as it seems that the film’s main point is to open a dialogue, not close one. However, I can see why some viewers may find this off-putting. Overall, Love and Saucers is a very well made, professional, and insightful documentary. Whether you have an interest in the extra-terrestrial or not, it’s certainly one to watch.